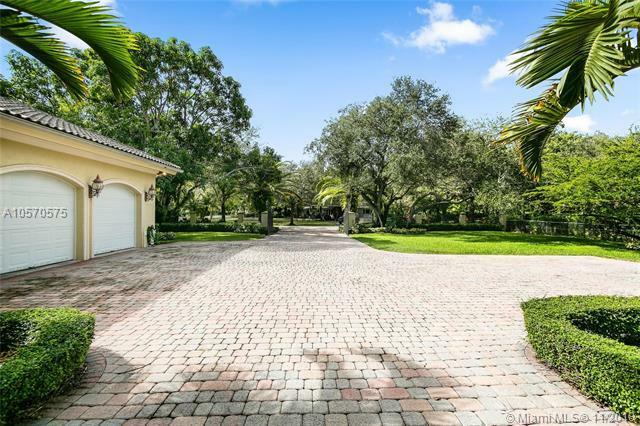 Spectacular one story home located on a gorgeous deep gated acre in N. Pinecrest. 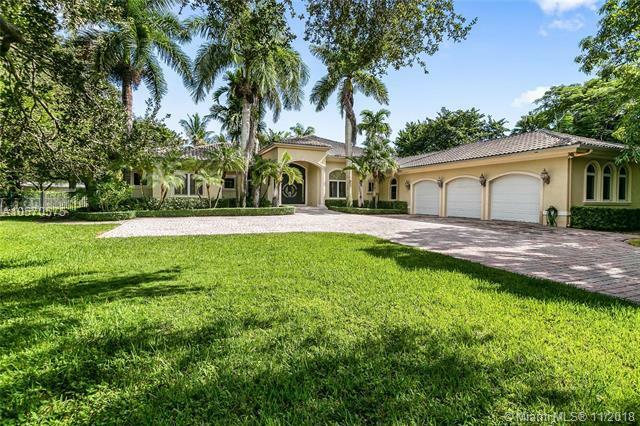 Stunning foyer and living room hi-volume ceilings throughout home. Lavish master bedroom with sitting area & deluxe master bathroom with dual sinks, bidet. Master bedroom has views to the pool & garden. Chefs gourmet open kitchen with top of the line appliances opens to spacious Family room. Wet Bar, gas fireplace. Lush private landscaping surround pool, spa, covered outdoor area. Basketball court & running track. Impact windows/doors, camera system.5 ensuite bedrooms + additional office! Low traffic, child friendly street. Wired for Generator.